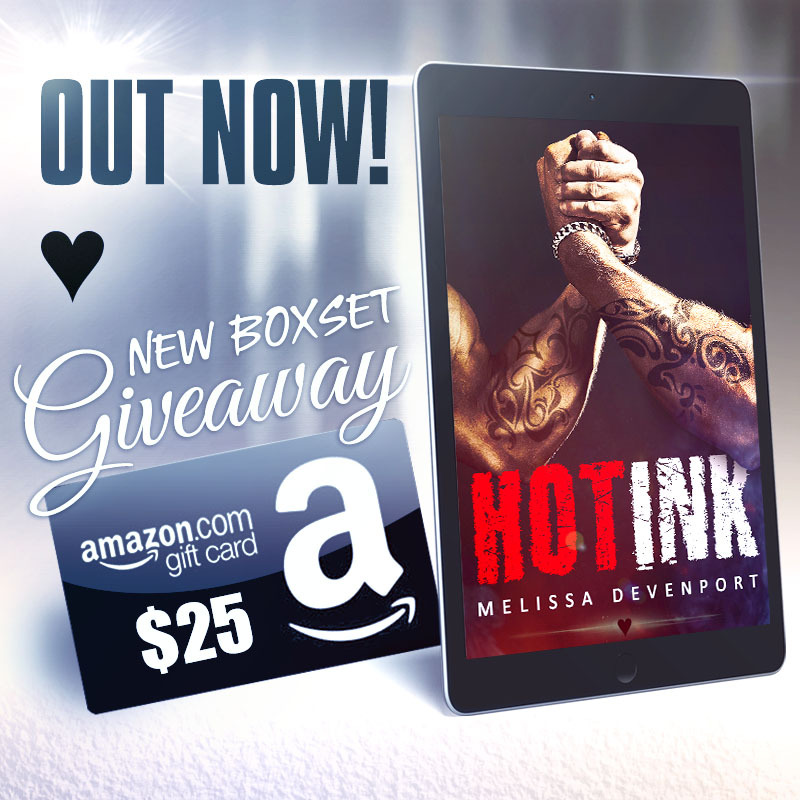 The ‘Hot Ink‘ boxset is doing really well and you are a big part of it. Your comments on Amazon and Goodreads are so much fun to read. By sharing your kind words you also introduce others to the book. This is a tremendous help and I can’t thank you enough for doing so. I have just launched a New Boxset Giveaway to celebrate the success. You can win a $25 Amazon Gift Card. Find the details on my FACEBOOK PAGE.